Remember actor Imran Khan from Jaane Tu Ya Jaane Na? The 35-year-old actor, who has been absent from the silver screen for the last three years, is back with his first directorial venture. 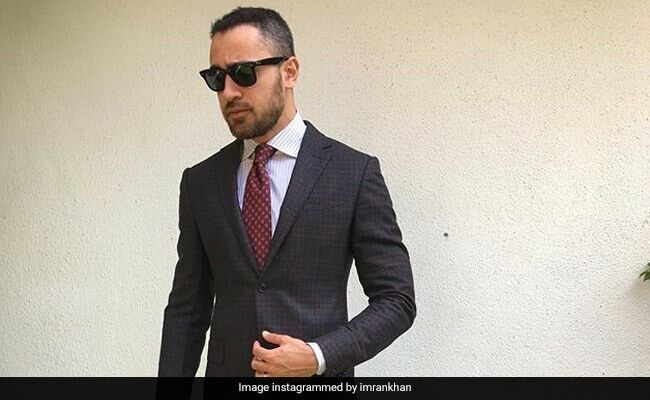 For the first time, Imran Khan has directed a short film titled Mission Mars: Keep Walking India and the actor shared the teaser of his project on social media on Tuesday. The short film has been written by Imran and Dharma 2.0 has produced it. Speaking to news agency IANS about his film, Imran Khan said: "It has been an enriching experience writing and directing this tribute to India's commitment to progress, and for this to be backed by Johnnie Walker - The Journey and Dharma 2.0 made it even more special." Imran khan shared the teaser of his short film and captioned: "Slingshot is now Mission Mars. Liftoff September 20th." As the name suggests, Mission Mars is inspired from India's first interplanetary mission Mangalyaan, which was launched in 2014. "Mission Mars has made all of us so proud, and I have tried to encapsulate the spirit of all those who made this achievement possible," Imran added. Imran Khan was last seen in Nikhil Advani's Katti Batti opposite Kangana Ranaut. He made a blockbuster debut in Bollywood with Jaane Tu... Ya Jaane Na, which fetched him his only Filmfare award. He is best known for films like Delhi Belly, I Hate Luv Storys, Mere Brother Ki DulhanEk Main Aur Ekk Tu and Break Ke Baad.